The 4th annual Club Marine Pittwater Sail Expo, held over the week end of 21st and 22nd March, 2015 at the Royal Prince Alfred Yacht Club, is a free family focused community event. This year the Expo has over 60 exhibitors supplying goods and services to the professional and leisure sailor as well as providing information on sail training, club membership, cruising, dinghy and yacht racing. Situated on beautiful Pittwater on Sydney’s Northern Beaches, The Royal Prince Alfred Yacht Club is the state’s largest sailing club. The club is home to over 1950 members, over 340 yachts, 70 hardstand boats and 100 dinghies. The 2015 Expo features an extensive array of exhibitors with many leading marine industry brands represented. There is a large range of boats on display as well as other marine goods and services exhibiting including charter services, inflatable boats, marine paints, sail makers, shipwrights, marine groups, deck hardware, soft furnishings, electrical, batteries, ropes, marine insurance and much, much more. The event is open to the public and is free to enter. Held in and around the club house and on the magnificent floating marina, it is an outstanding opportunity for visitors to witness the Club first hand, have a look at sailing boats, gather information about training, racing, cruising, children's programs and membership and gain professional advice directly from industry experts. The Club offers car parking for up to 400 cars, however, a shuttle service will be arranged that will service Newport Beach carpark. 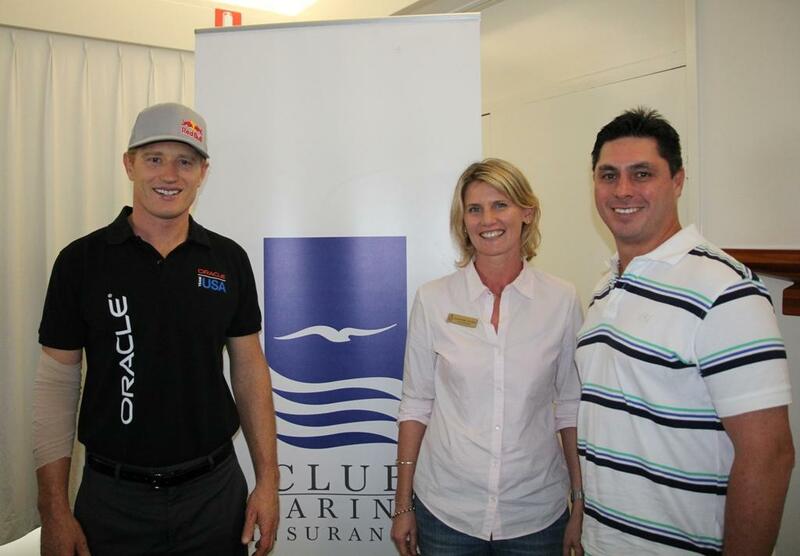 The event is being supported by the naming rights sponsor Club Marine. Club Marine Pittwater Sail Expo spokesperson Rob Cole said, “The expo is a community event and a great opportunity for people to see the club first hand, witness our magnificent waterway of Pittwater and learn more about all aspects of sailing. Visitors will enjoy a weekend of entertainment, food, club tours and product demonstrations. All visitors will have the chance to go into the draw to win some amazing lucky door prizes including an afternoon sailing on Wild Oats X. The Club Marine Pittwater Sail Expo is on again today, 22 March 2015, between 10am-4pm on the grounds of the RPAYC located at 16 Mitala St Newport. 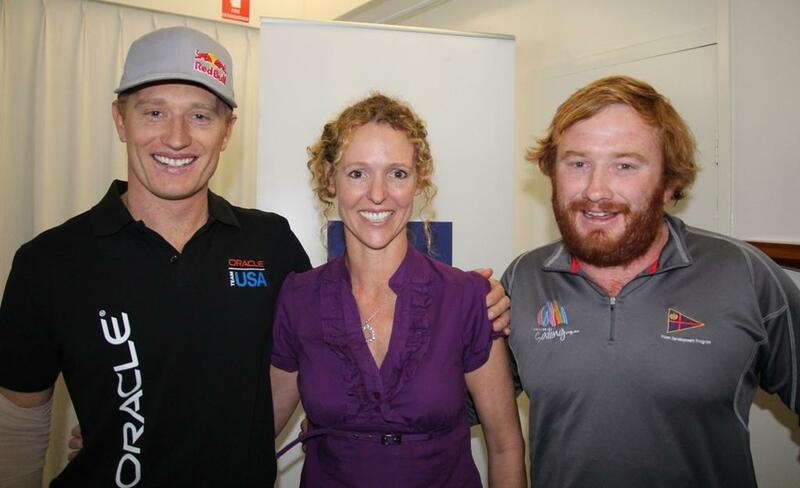 James Spithill, Lisa Ratcliff, Tom Spithill - photo by Stephen Collopy.